And turn your dreams into your reality! I dared to dream big! Do you have a someday drawer filled with dreams of being a world traveler, a best-selling author, an entrepreneur or ….? Have you made endless promises to yourself about opening it up when you have enough time, or enough money? I, too, had an overstuffed someday drawer filled with ideas for my best-selling fiction and nonfiction books. I spent countless days daydreaming about my successful career as an accomplished author while I commuted to my day job on Silicon Valley’s Highway 101. In my favorite dream, I sat opposite Oprah as she interviewed me about my sensational new book. I taught Oprah how to make my sweet Mama Rose’s delicious guacamole, one of the recipes from the book, and, of course, she loved it! Two years ago, I got rid of my someday drawer. After decades of having it accumulate dust and cobwebs, I opened it up and banished its someday status. 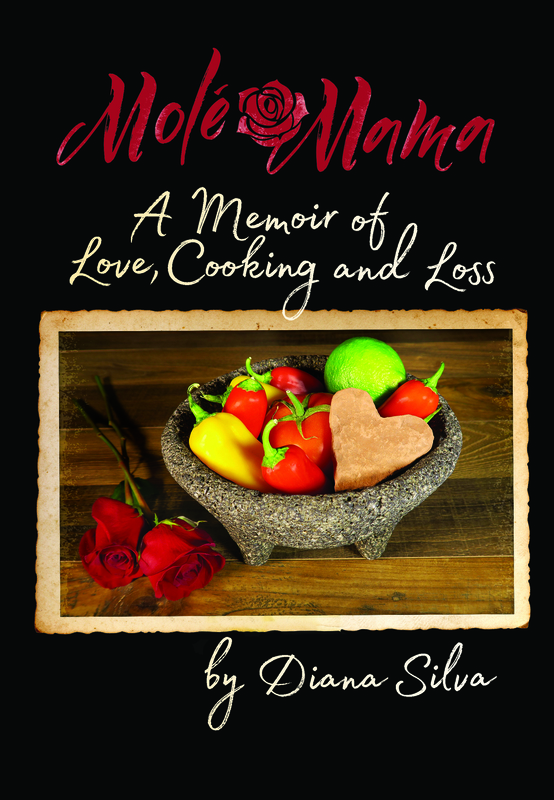 I finally put pen to paper and began writing my first book, Molé Mama; A Memoir of Love, Cooking and Loss. It was challenging. I continued to work full-time and care for my teenage sons as I wrote away. But it was easier than the realization that I might live my whole life without making time to follow my dreams. I knew that I just couldn’t live another day waiting for someday. And I succeeded. My book was successfully launched in May 2017. I gave myself guilt-free permission to invest the necessary time and money in my dream of becoming an author. I found that once I started working on my life’s passion, the most amazing people showed up to help. I know you’ve probably heard this before, but it’s true. I committed to a 100-day challenge that inspired me to work on my book and my brand for a minimum of five minutes every day. This helped me integrate the book and its production into my daily life. If you feel like giving up, don’t. Ask for help instead. I wanted to quit writing several times. Thankfully, each time someone—my editor, a friend or a family member—encouraged me to keep going. Perhaps your someday drawer is filled with questions. Should I change my career? How do I make my life more meaningful? Should I move? What’s my passion? Create a vision board. This may help you to see where your special interests and talents lie. It may help you answer lingering questions about your life’s passion and purpose. Consult with a life coach. A professional life coach is an objective person who often is a good questioner and a wonderful listener. They can encourage you to explore, be curious and dig deep into what truly drives you. A good coach will help you ponder questions like: What excites you when you wake up in the morning? What excites you when you are not working? What puts you in the “flow”? Spend some time alone and think about this: Make a list of the things that make you happy. Make a list of the things you do every day. Finally, compare the lists and adjust accordingly. Read Designing Your Life. How to Build a Well-Lived, Joyful Life by Bill Burnett and Dale Evans from Stanford’s Design School. Complete the exercises that are included throughout the book. Feel like taking it a step further? Take part in a Designing Your Life workshop (information at designingyour.life/). They hold day-and-a-half long weekend workshops just for women. Explore the offerings of groups like ReBoot Accel, which offers a suite of programs to get women current, confident and connected. Upcoming workshops include one titled How Do I Reinvent My Career? Holding my completed book in my hands for the first time was one of the happiest moments of my life. My dream is now my truth. I am an author. Burnett, Bill & Dave Evans, Designing Your Life. How to Build a Well-Lived, Joyful Life. Alfred A. Knopf, New York: 2016. Accessed 12 Aug 2017. Diana Silva is a San Francisco-based home chef, author, video blogger and radio host. Her Molé Mama Recipes YouTube channel celebrates family recipes, cooking delicious meals at home and adding love to every recipe. Diving into her Latina roots, she uses her magical molcajete, and other tools and techniques that make her food taste like grandma used to make back in Mexico. Along with her guest chefs, Diana explores recipes and traditions from all over the world and the stories that keep them alive. Diana is calling everyone to return to their kitchens and to preserve their living and passed ancestor’s favorite recipes and stories for future generations. “We need to try to preserve our cultures and not just let those favorite recipes disappear forever. The common thread of every cherished family recipe is that they were homemade with love, and that’s the real secret ingredient,” says Diana. For many home chefs, cooking is their preferred love language, and that’s why we cherish their recipes. Their love has the power to transcend an ordinary recipe into magic!